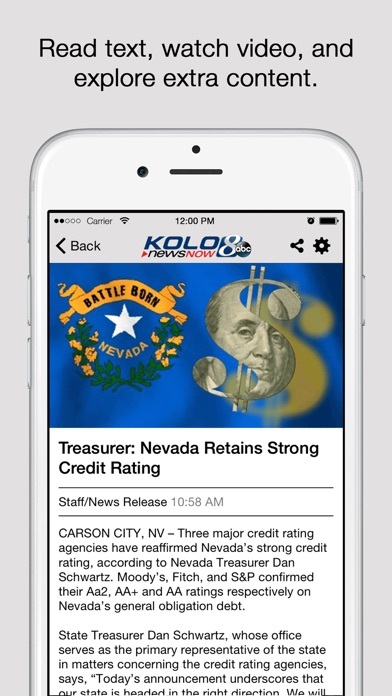 The Reno, NV news experience you’ve been waiting for is finally here! 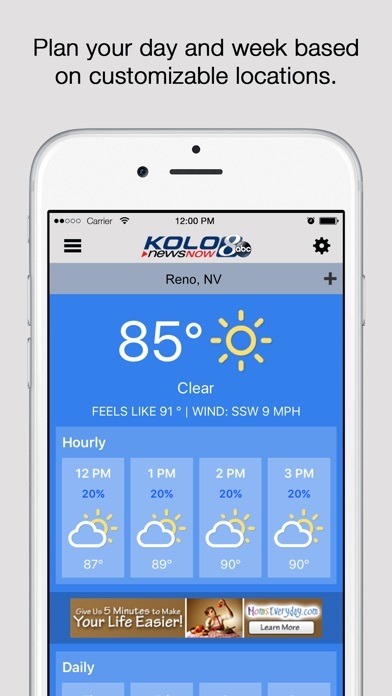 Catch the latest news, sports and weather wherever you go with the KOLO iPhone App. 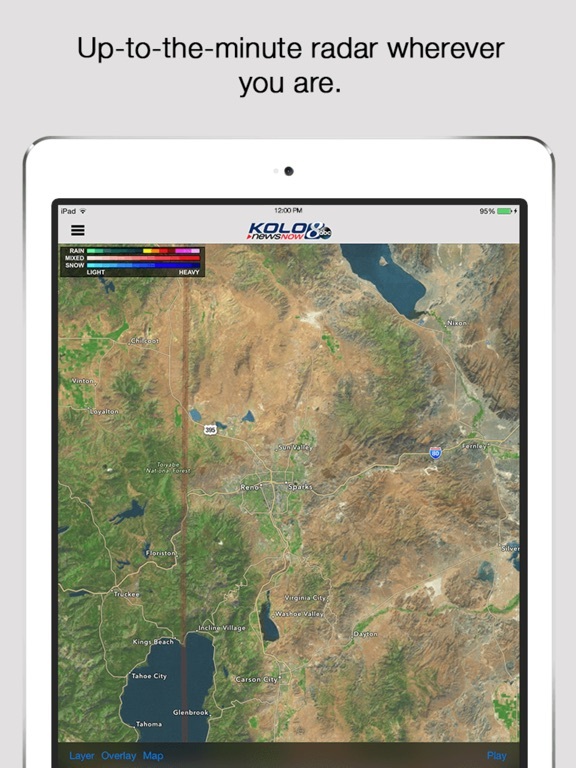 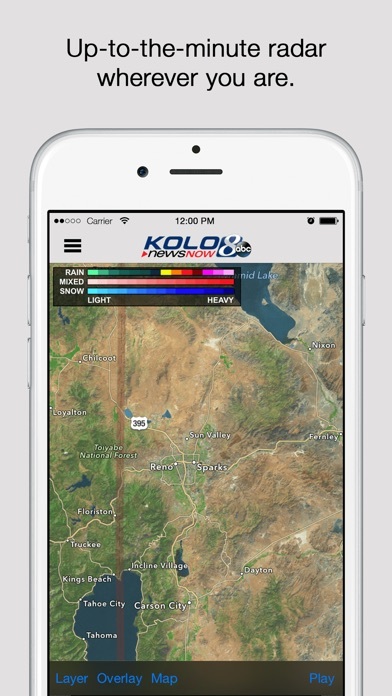 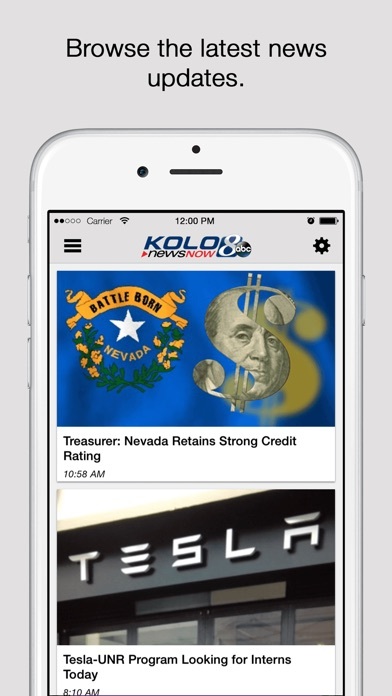 The KOLO iPhone App takes the best features from the KOLO newscast and Web site and rolls them into a mobile experience that is a must on your iPhone. 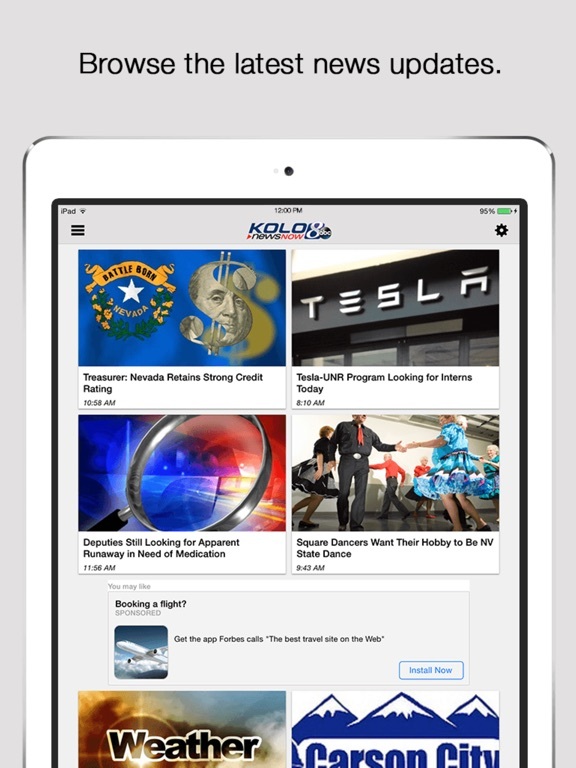 It makes viewing and sharing the news easy. 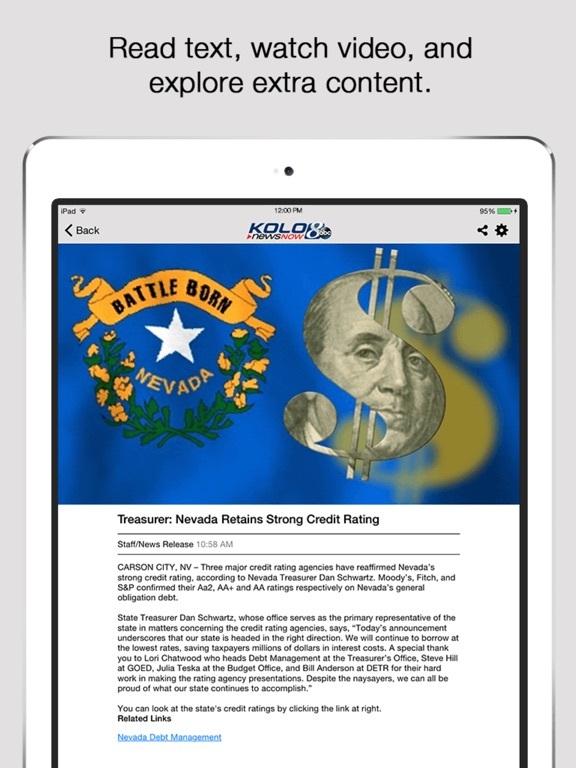 With a few simple steps, you can read and watch the latest news or share it with family and friends by e-mail, text message and even post to Twitter and Facebook. 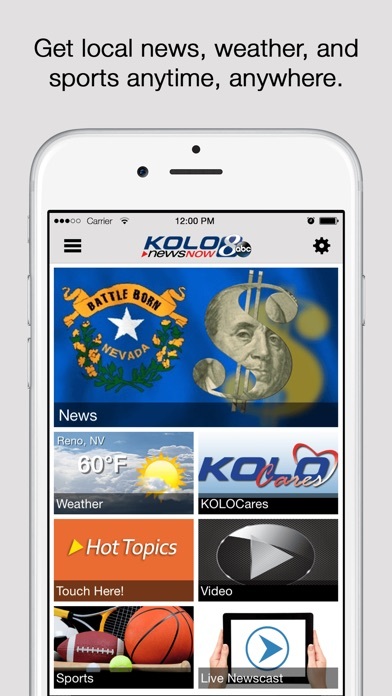 Whether it’s severe weather, the newest sports scores or learning you’re a lottery winner by viewing the latest numbers, the KOLO iPhone App keeps you in-the-know while you’re on-the-go.